1 ：白夜φ ★：2013/02/24(日) 02:26:01.92 ID:??? 2013年05月　「シグナス実証1号機」（COTS Demo Flight 1)　←New! Updated @SpaceX #Dragon #ISS rendezvous times: NASA TV coverage begins Sunday at 3:30amET: http://www.nasa.gov/ntv . Grapple at 6:31am. 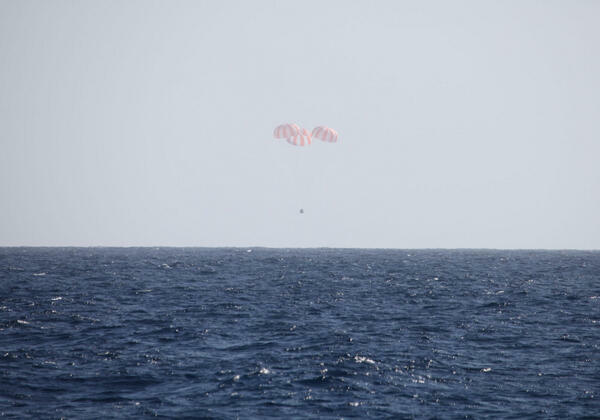 Hatches between the International Space Station and new arrival, the SpaceX CRS-2 Dragon occurred yesterday at 18:14 UTC. This is the 3rd SpaceX Dragon to visit the International Space Station since May 2012.